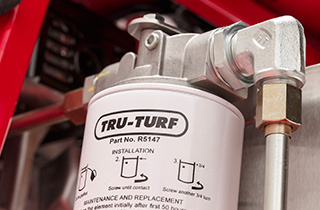 The RB48-11A is Tru-Turf’s workhorse and ideal for those on a tight budget and don’t want to compromise on quality. Enviable performance. Exceptional durability. Inherently engineered for safety. The RB48-11A Golf Greens Roller delivers an unrivalled combination of advantages in an affordable package. The RB48-11A rolls a 48 inch (1200mm) swath in a single pass. 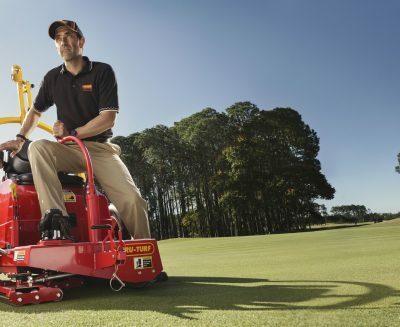 Its dual rolling heads are equipped with Tru-Turf’s patented offset rollers for perfectly even, crease-free smoothing and superior contour-following ability. The machine is superbly balanced. 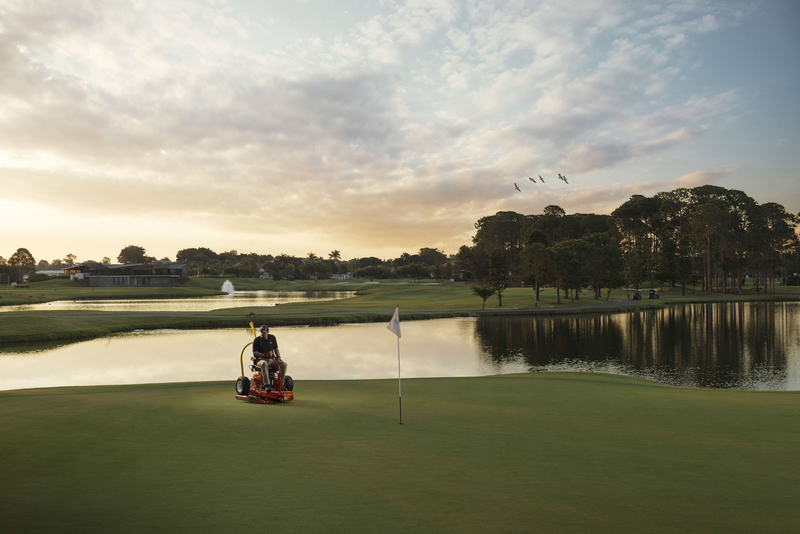 Steering is light and easy, for smooth operation on the most challenging of greens. 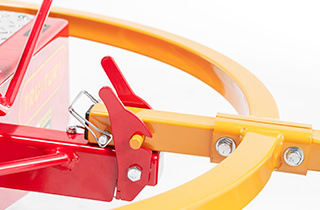 A low centre of gravity ensures roller stability and operator safety. Ideal for those on a budget who will never compromise on quality. 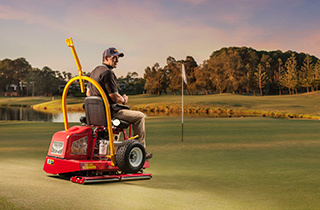 The RB48-11A is Tru-Turf’s workhorse and ideal for those on a tight budget and don’t want to compromise on quality. To see it in action press the play button. 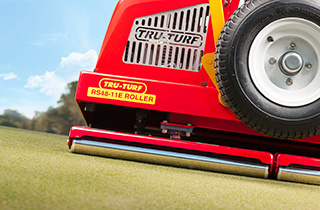 Tru-Turf’s gasoline-powered golf greens rollers have a power-train designed to handle the toughest operating conditions. They feature an ultra-reliable Honda 6.5HP OHV engine with lighting coil, coupled to a heavy duty Eaton 11 Hydrostatic transmission, stainless steel oil reservoir and heavy duty, low oil pressure steel lines. Driver Roller Rubber coated, non stick. 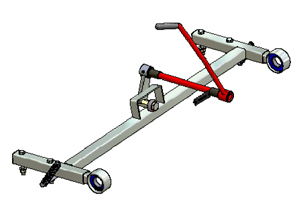 Steering Joystick – Light load, directly connected to smoothing heads. 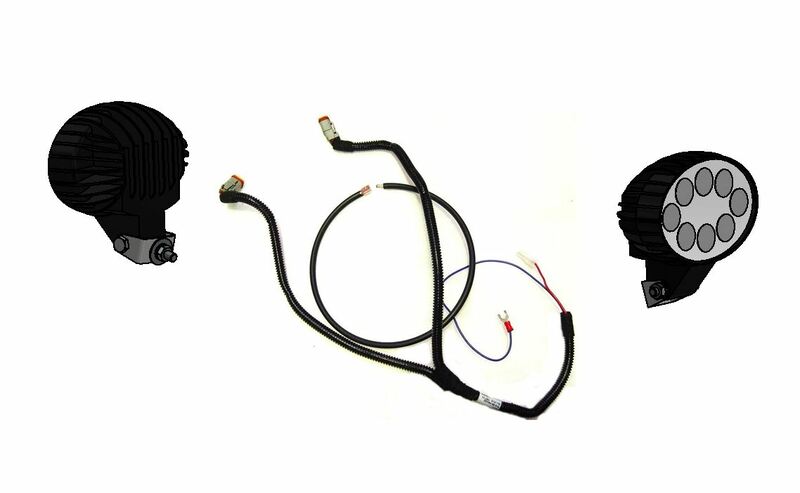 Vibration Reduced through engine isolation mounts. Seat Premium UV protected, with adjustable arm rests. Trailer Integrated, heavy duty. Quick & easy transition from transport to rolling position. 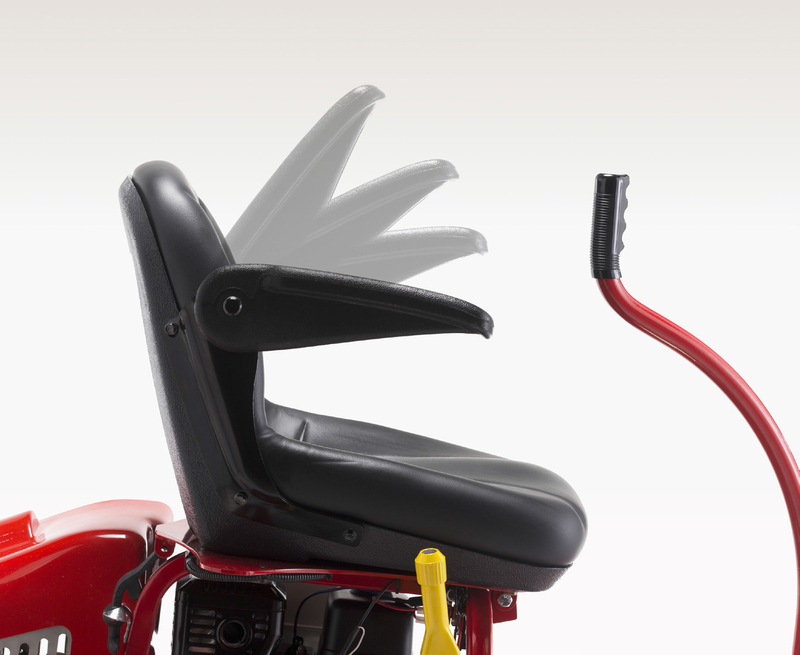 This kit can be installed in place of the Brush/slicer arrangement. 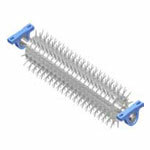 This kit can be installed in place of the Brush/spiker arrangement. Retrofit to facilitate the connection of the Brush, Slicer or Spiker attachment.